8 classic vinyl albums from the Equinox stock featuring 2econd Class Citizen, Deckard, DJ Scientist, Sole & The Skyrider Band, David Vangel, among others. 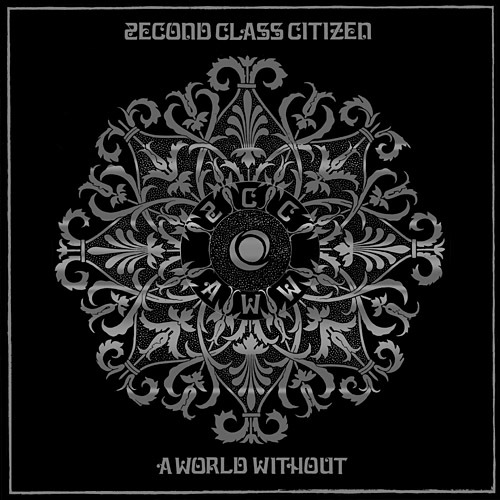 It has been a long time coming as they say and now the second full length album from UK producer 2econd Class Citizen is ready for release. Having spent the past year collaborating with DJ Food, touring Europe with cars&trains and remixing artists such as Loka, Ceschi and Dday One, 2CC is back with his signature sound on "The Small Minority", his follow-up to 2009's "A World Without". Double vinyl edition with gatefold sleeve. Includes download card for the complete album. 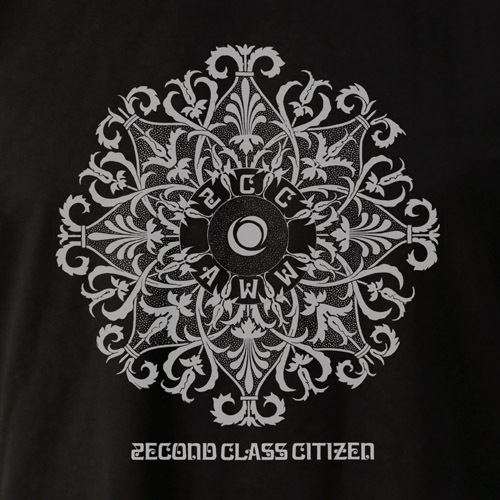 It has been a long time coming as they say and now the second full length album from UK producer 2econd Class Citizen is ready for release. 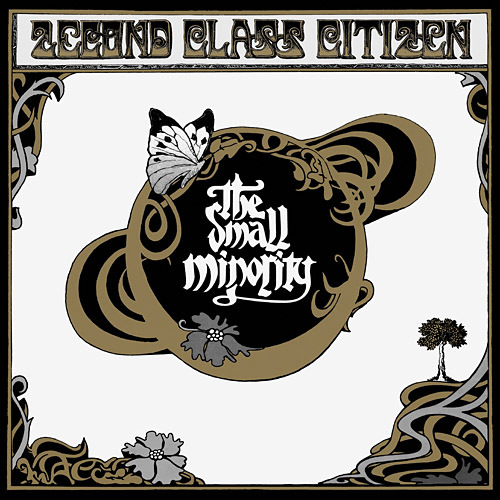 Having spent the past year collaborating with DJ Food, touring Europe with cars&trains and remixing artists such as Loka, Ceschi and Dday One, 2CC is back with his signature sound on "The Small Minority", his follow-up to 2009's "A World Without". CD comes as a 6 page digipak. 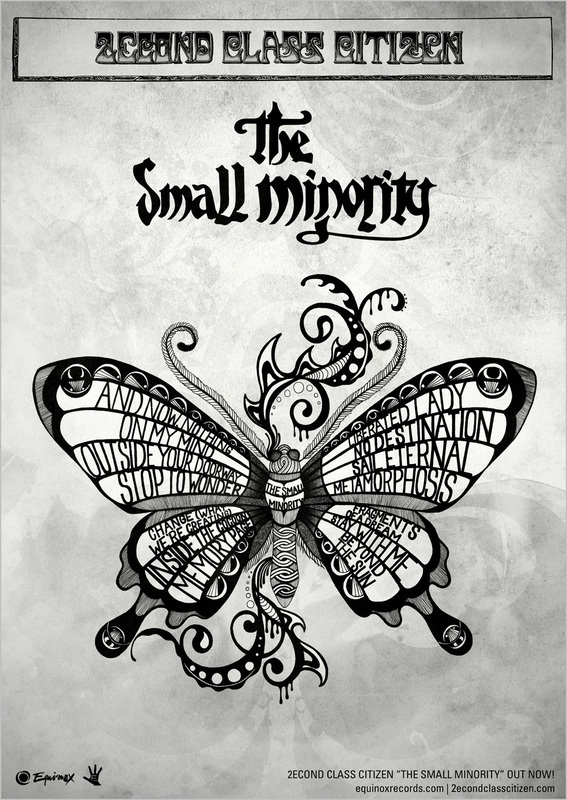 Dope poster designed by Sophie Webb (Butterfly Art), Alexandros Tserepas (Layout) & The Raincoatman for 2econd Class Citizen's 2012 album "The Small Minority". Very last copies from archive! Brand new and unplayed! Sorry for the high price! Drawing from his palette of all things psychedelic, prog-rock, folk and traditional-song related, mixed with modern techniques of sampling and sequencing, 2econd Class Citizen aka Aaron Thomason creates music which transcends a multitude of genres to distil a wholly immersive experience. 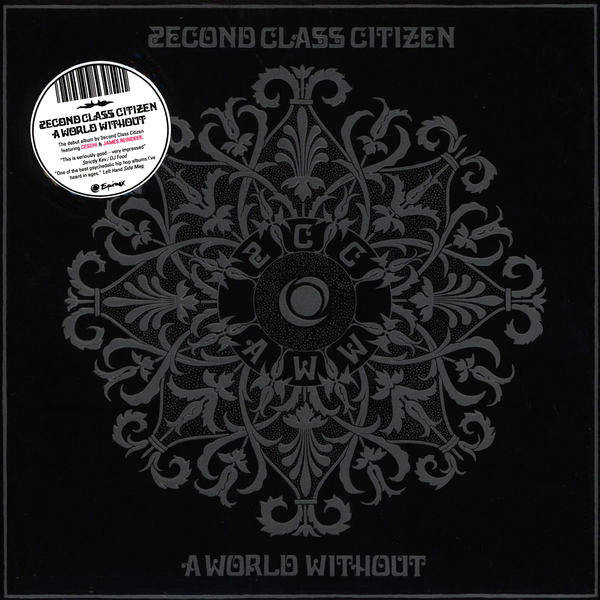 With "A World Without", his epic, debut full length, 2CC has out-done even himself in terms of the scale of production and ambition of the vast journey of song he has successfully encompassed, carrying the listener off into a brave new world rarely visited in this current musical age. Vinyl: Limited Edition double vinyl with embossed sleeve and silver print. Comes with download code for all tracks. Please note: Sorry for the price but we only have two last archive copies left that we will sell. You may find it cheaper as a 2nd hand item elsewhere, but if you want an untouched new copy, here’s your last chance! 2econd Class Citizen (Aaron Thomason) makes music that he simply calls "Wyred Folk": a hybrid of electronically produced folk combined with instrumental Hip Hop. 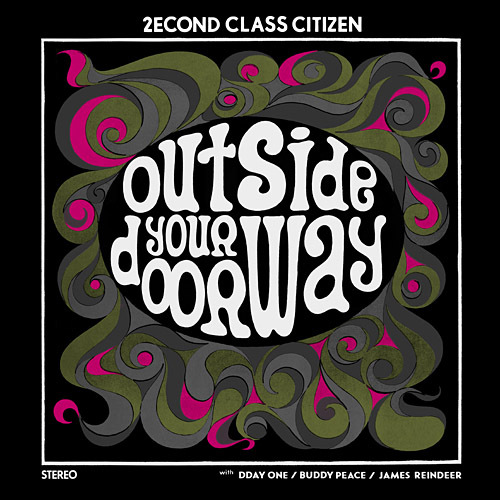 Swinging between melancholy and pure anger, strong guitar riffs mined from old psych rock records and the weeping voices lifted from old folk music, 2econd Class Citizen has put together one of the most interesting instrumental excursions of recent times. Here are the accents and here is the feeling that Hip Hop may have lost. Very last copies from label archive. Limited Bundle Edition with Bonus Flexi Disc with exclusive track by French producer Geste! Only 250 flexi discs made. This Bundle Edition also comes with additional poster. 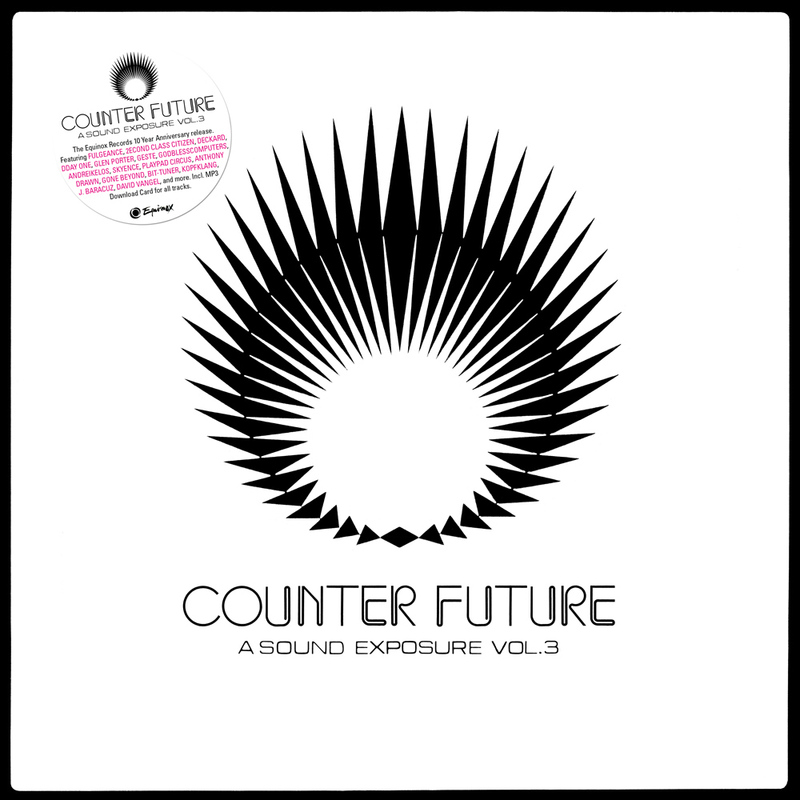 Counter Future is the third release of the Sound Exposure compilation series. This album also marks the 50th release on the label and acts as the 10th anniversary compilation, making it a truly special and momentous affair. Composed almost entirely of exclusive tracks from the label's roster and its extended, worldwide family it is a coherent and unique album that showcases the broad spectrum and various facets of today's electronic and beat scenes. 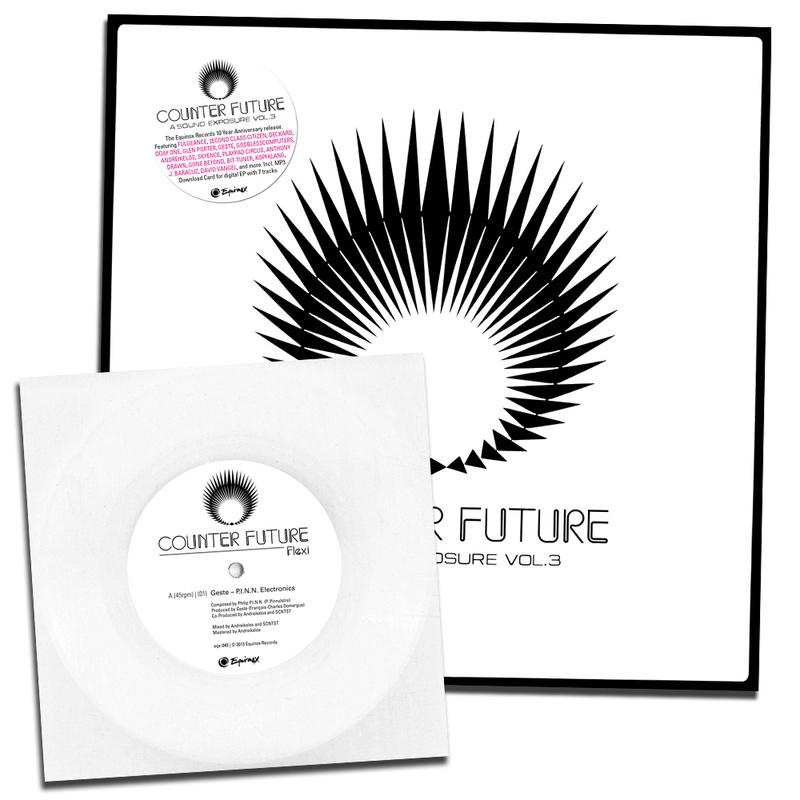 Across 21 tracks from 17 different artists Counter Future is the most extensive and complete release on our label yet: you'll find acclaimed French producer Fulgeance alongside long term Equinox artists such as 2econd Class Citizen and Deckard as well as close affiliates and friends including Los Angeles' Dday One and Glen Porter. Also features Geste from France, Italy's Godblesscomputers, Greek producer Andreikelos, Germany's Skyence, the Finest Ego Beat Championship winner Playpad Circus, as well as Anthony Drawn of Sichtexot who teams up with Graciellita from L.A.. Next there are Gone Beyond, Bit-Tuner, Kopfklang, J. Baracuz, David Vangel and more. Each artist contribute their own unique musical mark to this anniversary release. Limited edition triple vinyl album with extensive 6-page gatefold sleeve! Essential! Also comes with download card for all tracks. 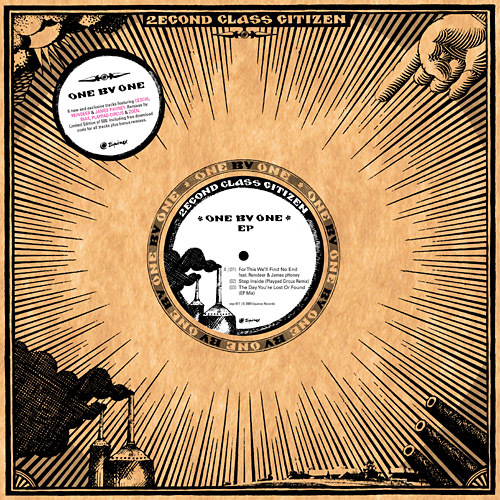 Bundle Edition with Bonus Flexi Disc with exclusive track by French producer Geste! Only 250 flexi discs made. This Bundle Edition also comes with additional poster. Equinox Records celebrates its 25th release with a limited edition box set. The box contains a 7inch with remixed of tracks by 2econd Class Citizen and Deadpan Darling (Ceschi & Blue Sky Black Death) as well as a 50-minute audio cassette (yes, a real tape!) 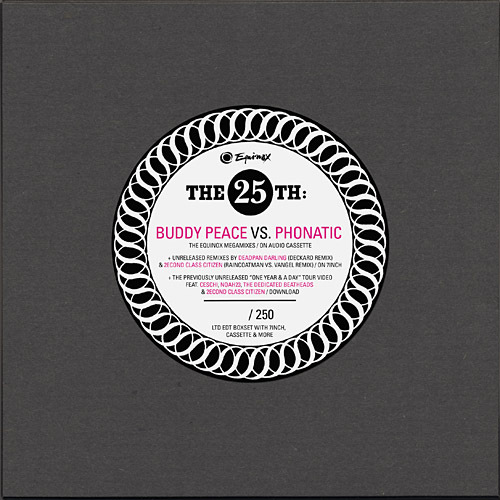 featuring two incredible Equinox megamixes by Buddy Peace and Phonatic. 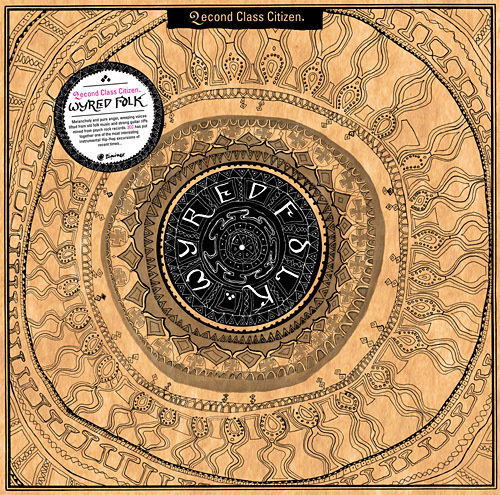 Additionally, it includes a download card for bonus remixes and the previously unreleased 2007 tour video with unseen live footage by Ceschi, Noah23, The Dedicated Beatheads, 2econd Class Citizen and more. Note: This version does not contain the USB stick, which was only available for the first copies.